The Délégation interministérielle à l’aménagement du territoire et à l’attractivité régionale (DATAR) is a French organism created 50 years ago which has a central role in the policies concerning spatial planning at the national scale. This publication by Berroir, Cattan, Guérois, Paulus and Vacchiani- Marcuzzo, reads the current territorial dynamics through the lens of the flows of persons and goods between urban areas, going beyond a more traditional vision of urbanisation and concentration of socio-economic assets. This allows a better understanding of these flows, how they configure systems, how the territory works and what those constant flows on big international networks imply for globalisation. This vision gets rid of administrative limits, allowing a better understanding of the inner and outer links of each site, one of whose clearer expressions is the growing mobility. 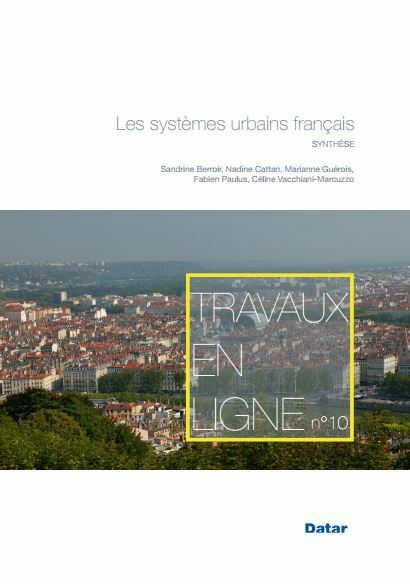 Three scales are used in the analysis: proximity urban systems, transversal links between systems (not going through Paris) and links to Paris. The degree of metropolitan dynamics is also analysed through flows.